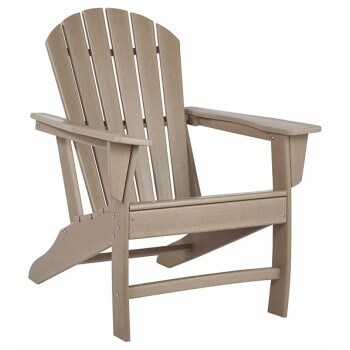 Add cottage-quaint charm to your outdoor oasis with this Adirondack chair. Made of a hearty hard plastic material with a touch of texture and driftwood color, it’s sure to weather the seasons beautifully. Designed to shed rainwater, the chair’s slatted styling with shell back shaping provides exceptional form and function.